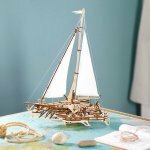 HOME /Blog /UGears Aviator – make your dreams of flying come true! 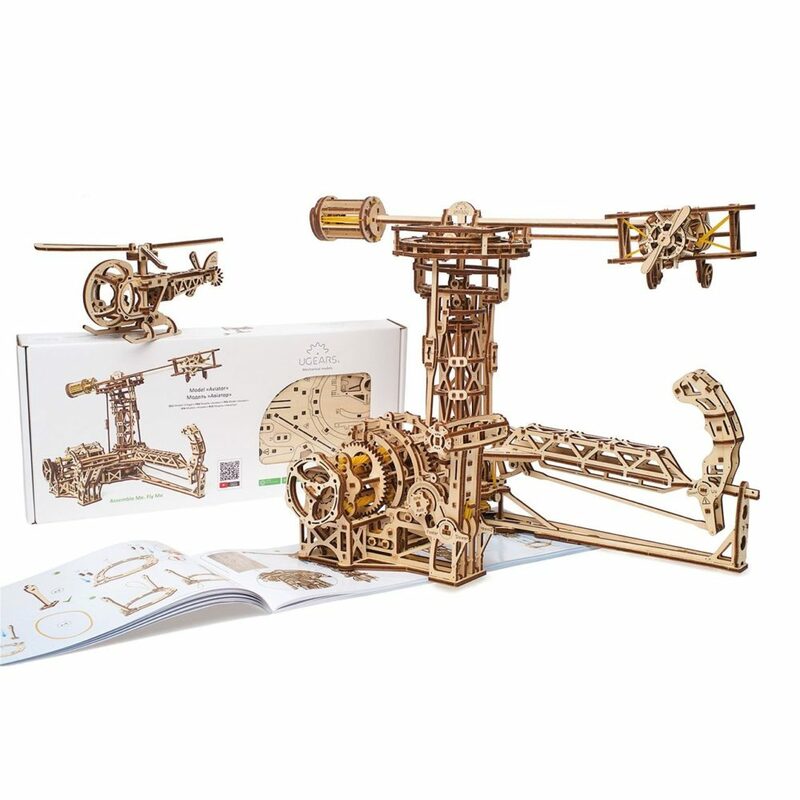 If you dream of flying, a fan of aeronautics or employed in the aircraft industry, UGears Aviator 3-d puzzle is something you definitely will appreciate and enjoy. 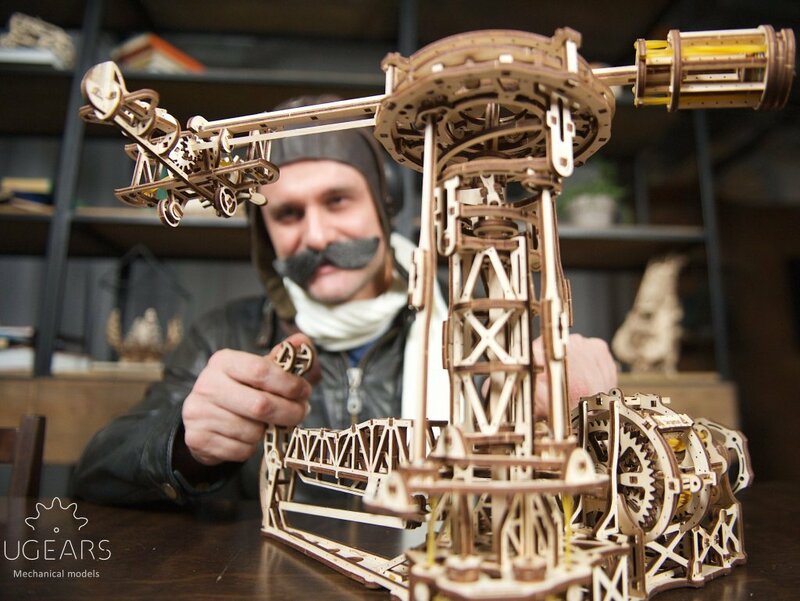 UGears Aviator is a complex self-assembly kit made with high-quality natural wood materials. 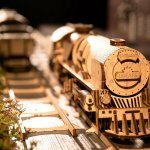 It consists of 726 pieces and takes about 16 hours to build. Traditionally for all UGears models, it is assembled without the use of glue or any additional tools and materials. 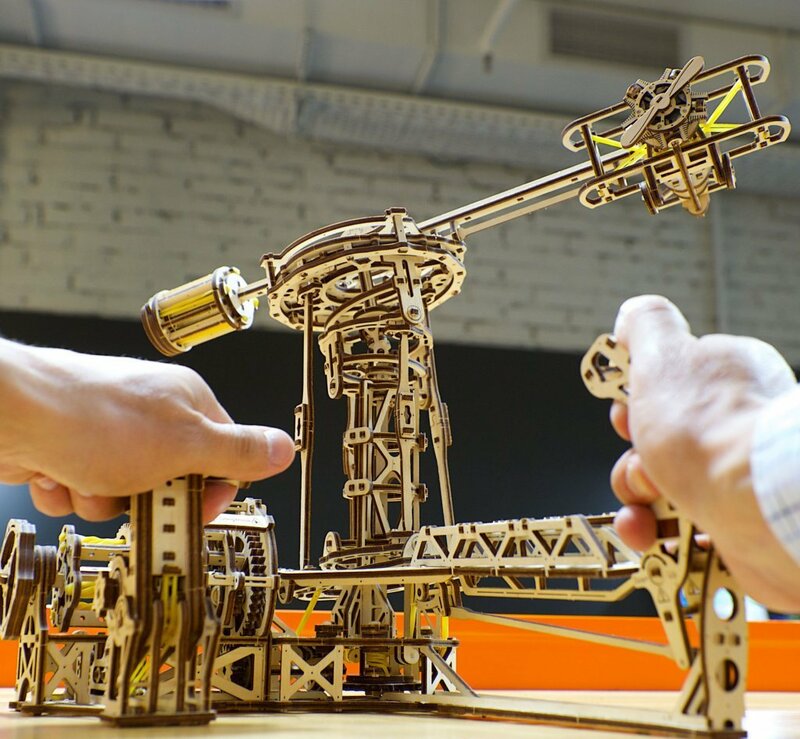 UGears Aviator is a three-in-one model that features the following elements: the Flight Control Tower, the Helicopter, and the Airplane. Because the Aviator is a 3-d build-it-yourself model, the fun and excitement of playing with this it starts at the very beginning, when you start the assembly process. How does the UGears Aviator work? To start the Aviator, first, choose a flying machine and set it on the swash plate bar. Crank up the lever connected to rubber drive to activate the swash plate. Hold the navigation wheel with one hand to control the speed and motion of the aircraft of your choice and set it to pitch and roll. Use the other hand to gently pull the trigger to set the tower in motion and watch your wayward bird take off! The stronger you push the lever forward, the faster flies your aircraft. Pull the lever towards yourself, and the speed of flying will start decreasing. UGears new Aviator model is available for orders from our website now!